Take a break from the city and head to Cottesloe Beach and Swan River. 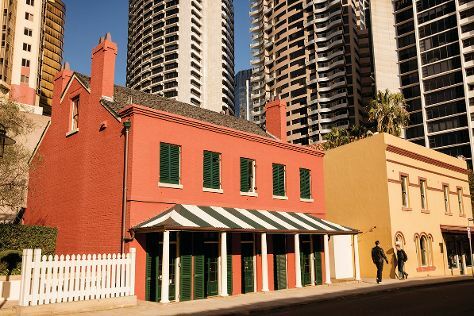 Satisfy your inner culture vulture at The Perth Mint and St Patrick's Basilica. Change things up with these side-trips from Perth: Fremantle (Fremantle Prison, South Beach Recreation Reserve, & more), Mullaloo Beach (in Mullaloo) and Mandurah (Halls Head Beach, Silver Sands Beach, & more). On the 19th (Tue), spend an adventurous day with a kayaking and canoeing tour. Make the 26th (Tue) an awe-inspiring day at Lane Pool Reserve. The adventure continues: stroll through Warnbro Beach, identify plant and animal life at Matilda Bay Reserve, enjoy the sand and surf at Yanchep Lagoon Beach, and pause for some photo ops at Kings Park War Memorial. For photos, other places to visit, reviews, and more tourist information, you can read our Perth trip website . Zurich, Switzerland to Perth is an approximately 21.5-hour flight. Traveling from Zurich to Perth, you'll lose 7 hours due to the time zone difference. Traveling from Zurich in March, things will get much warmer in Perth: highs are around 34°C and lows about 19°C. Wrap up your sightseeing on the 28th (Thu) early enough to travel to Adelaide. Step out of the city life by going to Blowhole Beach and Carrickalinga Beach. Do some cultural sightseeing at Sevenhill Cellars and Penfolds Magill Estate Cellar Door. Get out of town with these interesting Adelaide side-trips: Riesling Trail (in Clare), Gorge Wildlife Park (in Cudlee Creek) and Aldinga Beach (in Aldinga Beach). There's lots more to do: tour the pleasant surroundings at Horseshoe Bay, hike along River Torrens Linear Park Trail, kick back and relax at Henley Beach, and get a taste of the local shopping with North Terrace. For photos, maps, and other tourist information, read our Adelaide online trip itinerary planner . Fly from Perth to Adelaide in 5.5 hours. Alternatively, you can take a train; or drive. Traveling from Perth to Adelaide, you'll lose 1 hour due to the time zone difference. When traveling from Perth in March, plan for little chillier days and about the same nights in Adelaide: temperatures range from 30°C by day to 18°C at night. Finish up your sightseeing early on the 6th (Sat) so you can travel to Sydney. 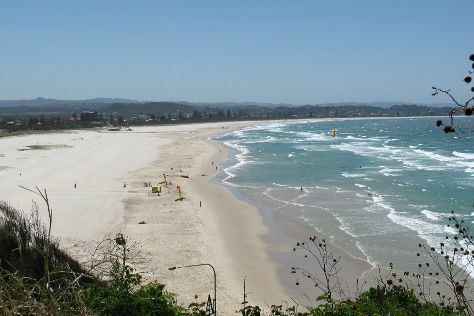 Discover out-of-the-way places like Werri Beach and Shelly Beach. Your itinerary includes some good beach time at Bondi Beach and Clovelly. Venture out of the city with trips to Katoomba (Canyoning & Rappelling Tours & Wentworth Falls), Palm Beach (in Palm Beach) and Logan Brae Orchard (in Blackheath). Spend the 12th (Fri) exploring nature at Sydney Harbour National Park. There's lots more to do: catch a live performance at Sydney Opera House, examine the collection at Australian National Maritime Museum, appreciate the extensive heritage of The Rocks, and kick back and relax at Coogee Beach. To find maps, reviews, and more tourist information, read Sydney trip maker website . Traveling by flight from Adelaide to Sydney takes 4.5 hours. Alternatively, you can drive; or take a bus. Expect a daytime high around 26°C in April, and nighttime lows around 17°C. Wrap up your sightseeing on the 16th (Tue) to allow time to travel to Coonabarabran. Get outdoors at Coolah Tops National Park and Sculptures in the Scrub Trail. Eschew the tourist crowds and head to Warrumbungle National Park and Gilgandra Rural Museum. Explore Coonabarabran's surroundings by going to Gunnedah (Porcupine Lookout, Gunnedah Rural Museum, & more), Narrabri Fish Farm (in Narrabri) and The Pilliga Forest Discovery Centre (in Baradine). There's still lots to do: get outside with Dandry Gorge, examine the collection at Crystal Kingdom, explore the fascinating underground world of Sandstone Caves, and immerse yourself in nature at Nelson Park. Plan my Coonabarabran trip by asking Inpirock to come up with tips and suggestions. Explore your travel options from Sydney to Coonabarabran with the Route module. Plan for slightly colder nights when traveling from Sydney in April since evenings lows in Coonabarabran dip to 14°C. Finish your sightseeing early on the 22nd (Mon) to allow enough time to travel to Brisbane. Your cultural itinerary includes sights like Tweed Regional Gallery & Margaret Olley Art Centre and Queensland Art Gallery. Escape the urban bustle at Burleigh Head National Park and Kirra Beach. Explore Brisbane's surroundings by going to Slideways - Go Karting Gold Coast (in Nerang), Natural Bridge (in Springbrook) and Scuba & Snorkeling (in Mooloolaba). There's much more to do: kick back and relax at Maroochydore Beach, tour the pleasant surroundings at Bulcock Beach, wander the streets of West End, and visit a coastal fixture at Fingal Head Lighthouse. For more things to do, maps, reviews, and other tourist information, read our Brisbane online tour itinerary planner . The Route module can help you plan travel from Coonabarabran to Brisbane. Traveling from Coonabarabran in April, expect Brisbane to be somewhat warmer, temps between 30°C and 19°C. On the 2nd (Thu), wrap the sightseeing up by early afternoon so you can travel to Cairns. Historic Village Herberton and St Monica's Cathedral are good opportunities to explore the local culture. Discover out-of-the-way places like Palm Cove Beach and Daintree Rainforest - Cooper Creek Wilderness. Venture out of the city with trips to Walu Wugirriga Lookout (in Cow Bay), Palm Cove (Hartley's Crocodile Adventures & Spas & Wellness) and Port Douglas (Four Mile Beach & Safaris). Spend the 3rd (Fri) among aquatic life with a scuba or snorkeling tour. There's lots more to do: tour the pleasant surroundings at Trinity Beach, look for all kinds of wild species at Australian Butterfly Sanctuary, take in the dramatic natural features at Babinda Boulders, and learn about winemaking at Shannonvale Tropical Fruit Winery. To see reviews, ratings, other places to visit, and tourist information, refer to the Cairns tour builder app . Fly from Brisbane to Cairns in 5.5 hours. Alternatively, you can do a combination of bus and flight; or drive. Plan for somewhat warmer temperatures traveling from Brisbane in May, with highs in Cairns at 32°C and lows at 24°C. Wrap up your sightseeing on the 12th (Sun) to allow time to travel back home.